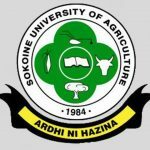 Sokoine University of Agriculture has been offering consultancy and advisory services through the college-based consultancy wings. The Bureau of Agricultural Consultancy and Advisory Services (BACAS) has been in operation since 1991 under the then Faculty of Agriculture (now the College of Agriculture). Similarly, FORCONSULT which is a consultancy wing under the College of Forestry, Wildlife and Tourism has been in existence since 1993. The consultancy unit of the College of Veterinary Medicine and Biomedical Sciences, VETCONSULT, has been operational for more than 20 years. During 2000, SUA developed and approved Consultancy Policy that allowed for establishment of a university-wide coordinating unit called SUACONSULT. Currently, the Directorate of Postgraduate Studies, Research, Technology Transfer and Consultancy is mandated to support overall coordination of consultancy activities and advisory services offered by SUA staff. The Coordinator of Technology Transfer and Consultancy is responsible for day to day activities related to consultancy services at the university.